One of the stars of British film and television will be attending a special screening of his latest release at the Electric Picture House Cinema in Wotton-under-Edge. Shaun the Sheep will be in the cinema on Sunday 29 March at 2pm, along with some of the people who brought his adventures to the screen. Shaun the Sheep Movie (U) runs at the Electric from Friday 27 March, daily at 2pm. But there's a special treat for the audience on Sunday 29 March, as some of the filmmakers behind the hit comedy - made by Bristol's Aardman Animation - will be in attendance. Wotton-based Aardman animators Will Becher and Emma Diaz will be sharing secrets from behind the scenes, along with some of the models featured in the film, and taking questions from the audience. Both Will and Emma have worked on a number of Aardman productions including Wallace & Gromit: Curse of the Were Rabbit, The Pirates in an Adventure with Scientists, and Creature Comforts. 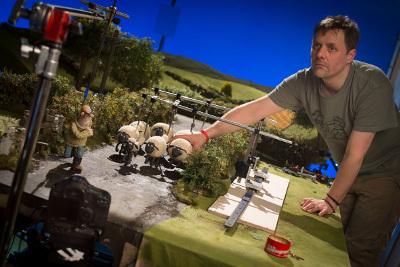 Will is currently directing Shaun the Sheep Series 5 for the BBC and Emma is part of the animation team. Both are thrilled to be bringing Shaun to meet his fans at the Electric Picture House. Gareth Negus, Managing Director of the Electric Picture House, said, "We're delighted to be welcoming Will, Emma and Shaun to the Cinema. 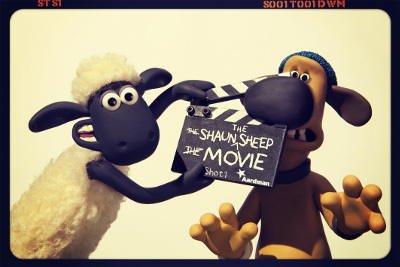 This will be a great chance for Shaun fans of all ages to see behind the scenes, and find out what it takes to bring a film like Shaun the Sheep to cinemas."